Last edited by Silver_Flame; 07-09-2007 at 11:42 AM. "I told you a million times not to exaggerate!" I already tried. My pen won't work though. 53.4% of percents are made up on the spot. this is in spanish when your not looking. If at first you don't succeed, skydiving is not for you!! This sig is pointless. Stop reading it. Alwell, your almost to the end. Goodjob, you accomplished nothing! In a box on Hwy 64.2 - Bashin' With Mike, Pat & Brad. hey i didnt start this. the only good radioshack rc is a dead one. you fail for using a pen, you must be able to erase your mistakes why 100 charcters did they legnthen the sig rule to 100? I'd have to edit mine which says "I know more about this number than what I'm doing with it"
I memorized pi to 200 digits! if you can read this then i did not fulfill my purpose. There are only 10 types of people in this world, those who know binary and those who don't. lol, thats a good one! www.chiefengines.com 2000 horsepower twin turbo! here is one, wal-mart, whats that, is that like a place where people go to buy wall stuff. that last one barely makes it. only one letter to spare. Last edited by 69Malibu; 07-10-2007 at 07:39 AM. 69Malibu, Hint: He's a magician. Things aren't always as they appear. i get it now. what do you think of my last one? Good isn't it!! Sorry 69Malibu, I was waiting for someone to get it, before I explained fully. Like yours though. Very good. thank you. yours is very good also once you get it. i dont understand the magition one still, i usualy act like i get a joke. think about that one. very obvious once you know what it means. Thank you 69 Malibu. It is actually very obvious. Think about what magicians do. Rabbits in hats for example. 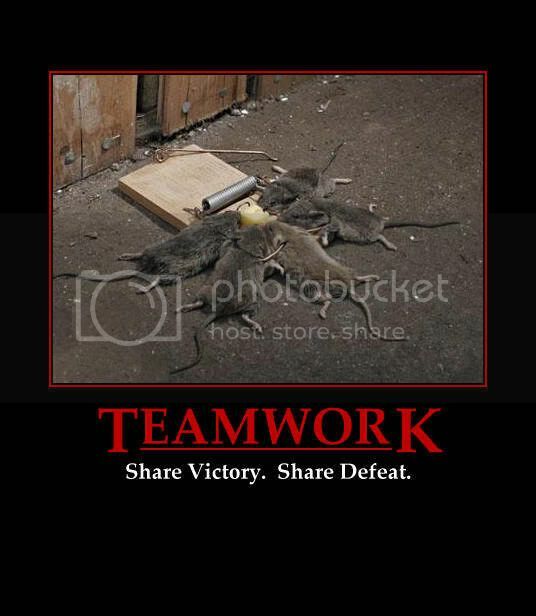 Early bird gets the worm, but the second mouse gets the cheese!! Jack of all trades,master of none!!!!! Hahaha. Speedy that's hilarious. Where do you get your randomness from?? I need some, lol. If man evolved from monkeys and apes, why do we still have monkeys and apes?!! i get the magician one now, he turned into a driveway. Those who throw dirt are bound to lose ground. He who laughs last thinks slowest!!!! Make it idiot proof and someone will make a better idiot!!!! If we Americans are so smart, why do we drive on a parkway and park on a driveway? I just have to expound on that one. My truck sees more air than yours!! !